UK police have grounded some drones because of a fault that means they can fall out of the sky, BBC Radio 5 Live has found. It follows a warning about the devices which, in a few cases, have unexpectedly suffered “complete loss of power during flight”. Models in the Matrice 200 series are among those used by the police. 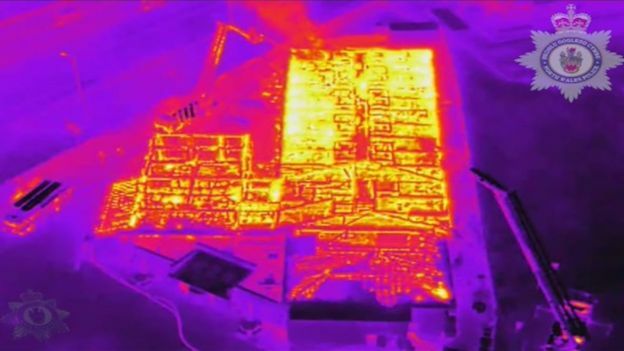 DJI said in a statement that it was “thoroughly reviewing” reports of power issues with the products in question. The problem results “in the aircraft falling directly to the ground”, according to the UK’s Civil Aviation Authority (CAA). This occurs even though the battery appears to have charge remaining. “There’s thousands of these specific models around the world being used by police and emergency services who favour its ability to operate in windy and rainy conditions,” Andrew McQuillan, from Crowded Space Drones, told 5 Live’s Phil Williams. The firm uses the M200 drones for public safety and counter-terrorism, as well as at festivals and football matches. He said he backed the CAA’s guidance – even though it was impacting his business: “I’ve no issue with that at all because they’re keeping people safe. Derbyshire Police said: “This is for public safety. However, we have other drones that are not affected by the issue and these are still in use.” Just five days ago, the force published a press release in which it said it was “pleased to announce” that M200 series drones had been added to its fleet after a year of testing. While no reports of injuries or damaged property have yet been received by the CAA, it said the drones should not be flown above people “at any height until further notice”. Flying within 50m (164ft) of people, vessels, vehicles or structures which the pilot is not also in control of, has also been temporarily prohibited. The Matrice 200 drones are slightly larger than the most common consumer drones and weigh in at around five or six kilograms, depending on what equipment – such as a camera – is being carried. On its website, DJI claims the models are “built to endure” and explains that they have17in (43cm) propellers. 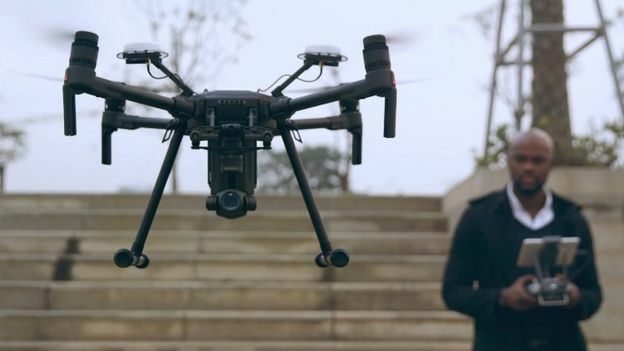 The Chinese firm continues to develop drones aimed at professional users – such as the new Mavic 2 Enterprise, which has been designed for uses including search and rescue. Among its features is a 100-decibel loudspeaker that can be used to broadcast pre-recorded messages.